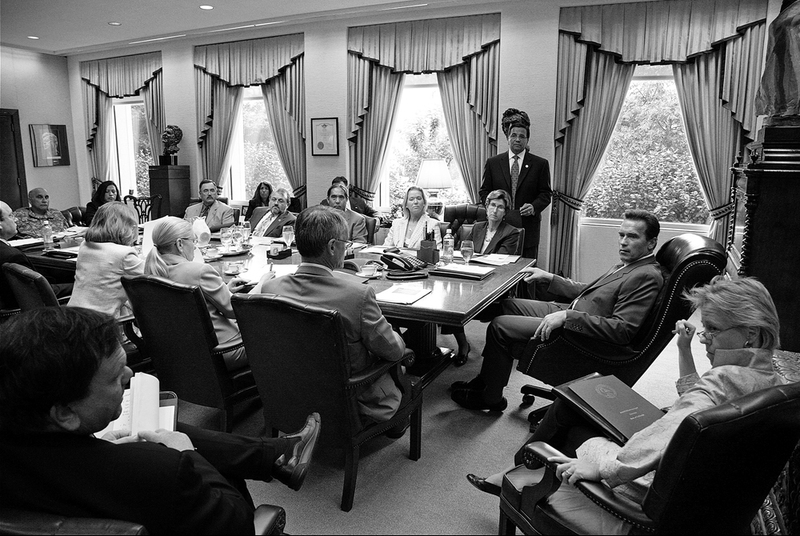 By hosting symposia, summits, and academic conferences, the USC Schwarzenegger Institute will gather thought leaders from business, government, nonprofits, and academia, as well as students, to discover approaches that unite, rather than divide, and that focus on innovation rather than isolation. Focusing on solutions that can be put into action, the Institute will maintain strong collaborations with other organizations doing important work in these focus areas as well as policymakers who will ultimately implement these strategies. The Institute believes that our policymakers must work hard to assure that every child, regardless of background, has access to a quality education. The Institute is working to foster the best possible education policies, implemented at both the national and state levels, to help all children to succeed in life. The Institute is continuing the many bold initiatives led by Governor Schwarzenegger and California in addressing climate change. Our focus includes energy policy; transportation; sustainable building; green job creation; and cap and trade. Sound fiscal and economic policy is the key to growing our economy; creating new and better jobs; and generating the revenue necessary to support social programs, infrastructure, energy, public safety, and so forth. Governor Schwarzenegger believes that our government should “live within it means” and “have a rainy day fund”—our Institute supports this philosophy and is working to foster policies that balance the important interests of consumers, businesses, and entrepreneurs. The Institute’s core belief is that our state, nation and world are best served when leaders put what is best for the people over what is best for politics. We will continue to work on political reforms, like redistricting and open primaries, which Governor Schwarzenegger championed in California. Hyper-partisan divisions and political gridlock is an obstacle to leaders successfully addressing challenges in all policy areas.